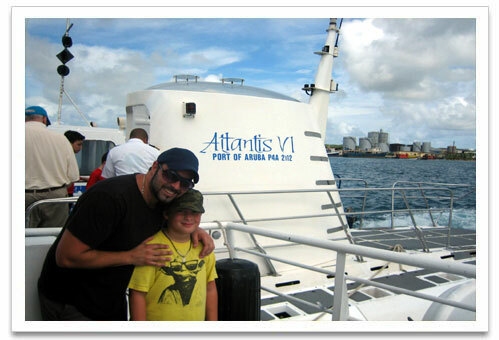 Take an unforgettable tour aboard the Atlantis Submarines, a US Coast Guard approved, fully air-conditioned submarine that will take you 130 feet below the Caribbean Sea for an amazing, unique underwater experience! 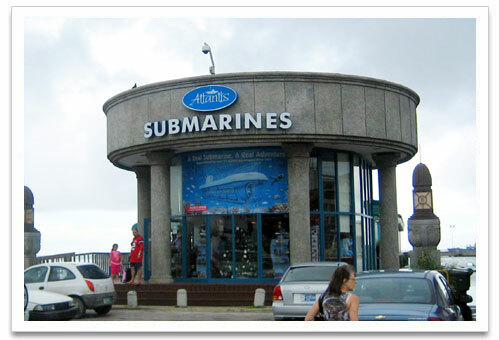 Tours depart from the Atlantis Submarine Store which is located in Oranjestad across from the Renaissance Resort and next to The Paddock Restaurant. The duration of the tour is approximately 1 hour and 45 minutes. This includes taking a shuttle vessel to and from the submarine. 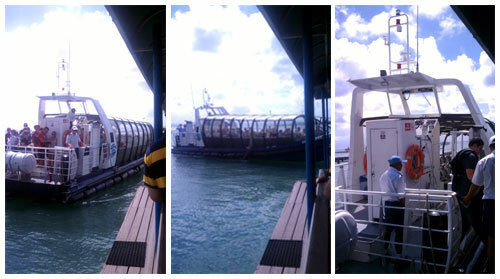 enjoyed the short shuttle ride to the submarine. After leaving the shuttle they boarded the Atlantis and met the friendly Atlantis crew. Time to go down the hatch into the submarine and take their seats in front of large viewing ports. CJ was so excited! All CJ could say was “WOW!” They saw spectacular sights, like two shipwrecks, beautiful coral reefs and an abundance of colorful sea life. There was room for everyone and they did not feel crowded in at all. Each person had their own seat and port view. CJ loved taking pictures with his DS. 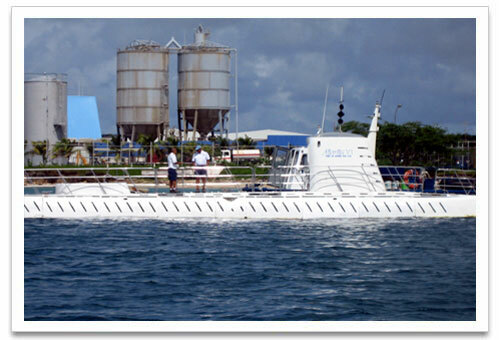 So next time you are in Aruba, have a real adventure on a real submarine! All guests must be over 3 feet tall and 4 years old. The cost for an adult is $99, teenager is $79 and child is $49. Look for the many coupons that are offered for a discounted rate. You won’t regret it. It is truly an amazing experience and fun for the whole family. If you're looking for more adventure check out our jeep tour through Arikok National Park.